Some months before I have purchased Samsung mobile with 3 GB RAM, initially it was working good as expected but after some time it’s start lagging & responding very slow. I tried uninstalling application & daily cleaning up the memory but that is also not helpful. 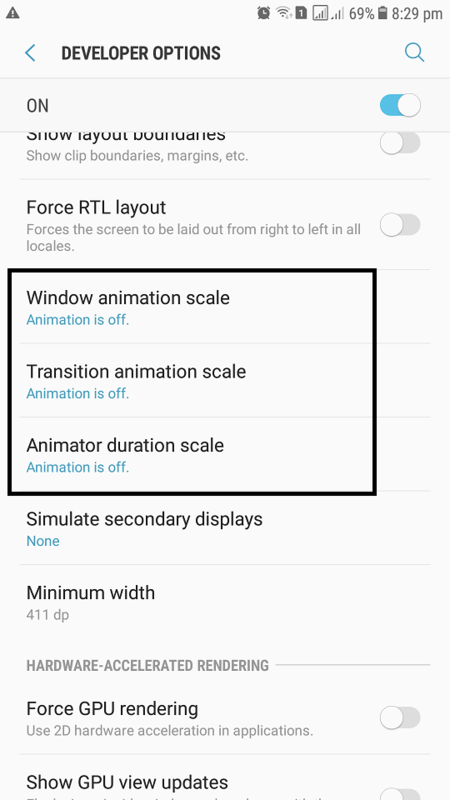 Then I start digging some of the options & found below 3 options in “Developer Tools” in Android that can be disable to boost up the speed. Please Note – Don’t Play with Developer options, it may damage your phone. Better to hide the same again after doing above steps.